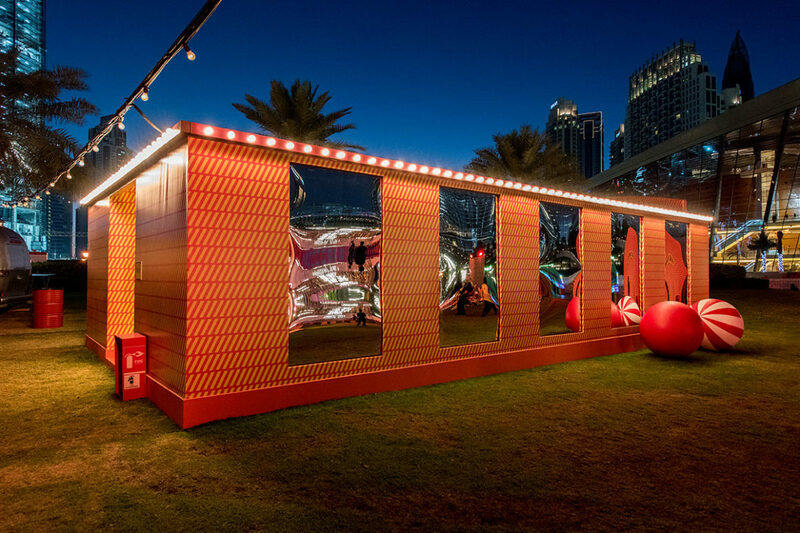 Hermès celebrated the opening of their new store in The Dubai Mall with an enchanting 2-day event. 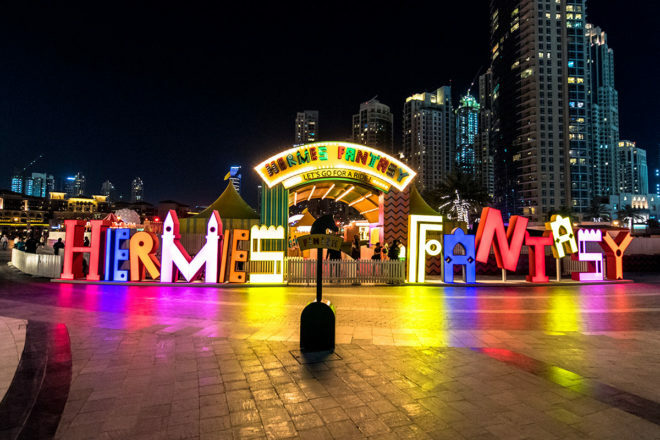 Hermès Fantasy – Let’s go for a ride offered many surprises to the public with fantastical fun fair games to be enjoyed by all. 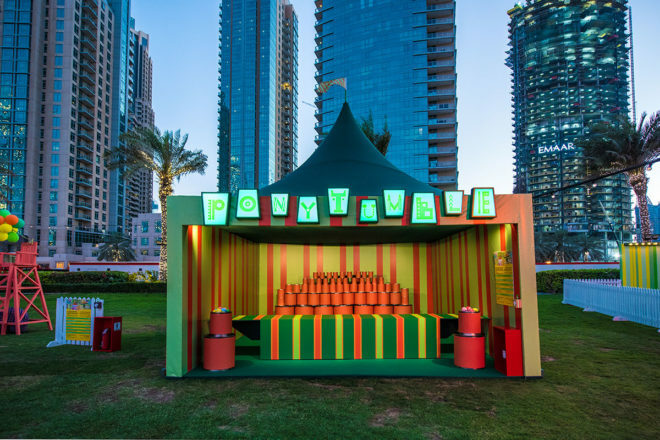 The free event took place in March 2018 at Burj Park, Downtown Dubai. 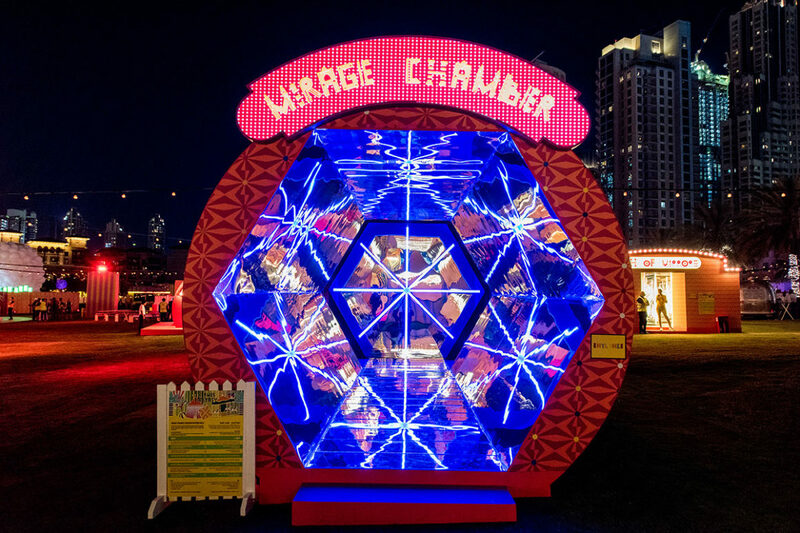 To provide an array of custom-made structures for different activations from the dart game, pony cycle race track, pony rides, saddle swings, hall of mirrors, kaleidoscope, fishing ducks and tumble activity. We assisted and supported our client every step of the way. 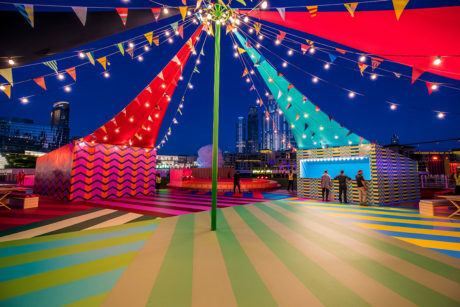 Our dedicated team of experts handled the full project from sourcing, managing and leading the production for all aspects of the activations. The project involved more than 600 members of our team throughout the process and covered a total of 11,000 sqm of Burj Park, Dubai.